The Razor Renew Traditional lets you care for your best straight razors, blades, and knives—keeping them sharper, longer. 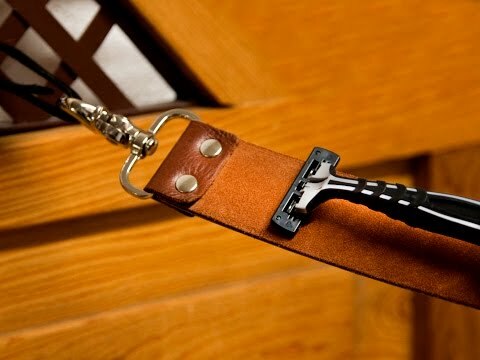 This reusable leather strap offers a generous surface that's over a foot long to sharpen and smooth the blades, making them as good as new. Use suede side to sharpen, and flip over to smooth side to polish. 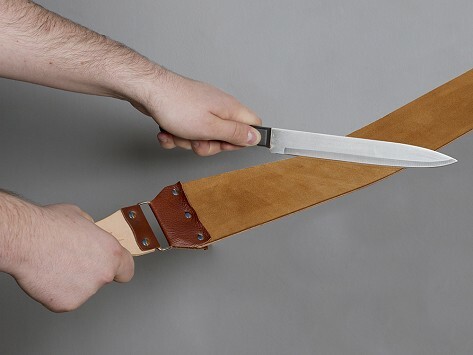 Dimensions: 30.25" x 3" x 0.25"
If you’re looking to get more use out of disposable razors, or you want a DIY tool to maintain your knives and scissors, Razor Renew is a handy solution. It’s made in the USA, and it’s designed to last a lifetime if you care for it properly. John wouldn’t have it any other way.